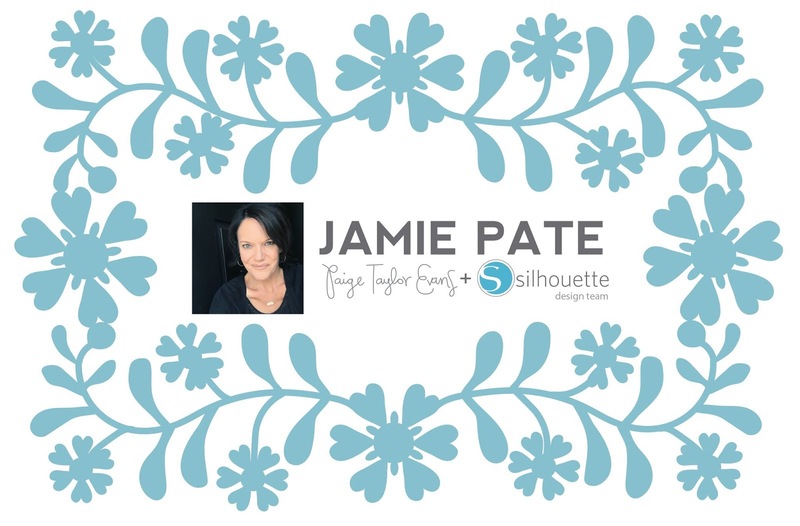 Hey friends, it's Jamie Pate here with a new layout! 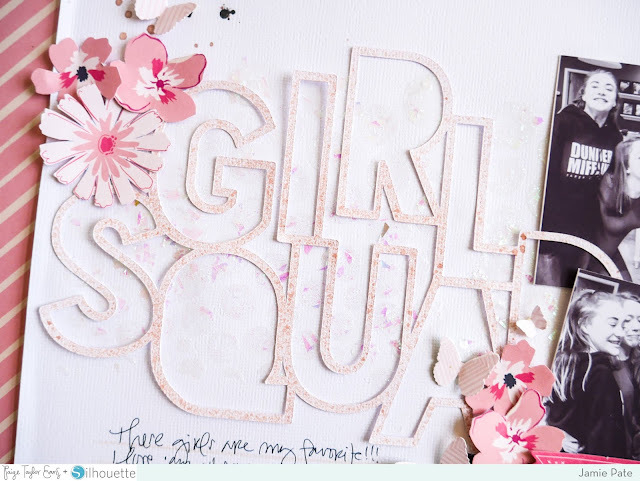 When I first saw this Girl Squad cut file that Paige made, I just knew she made it for me. Because. I am surrounded by girls. And that's alright by me. 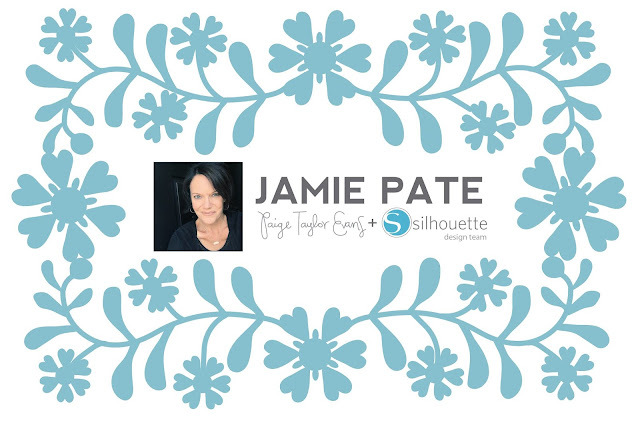 This layout came together with the use of the Whimsical collection. The Girl Squad was cut from white cardstock using my Silhouette Cameo. I sprayed and splattered the cut with Blush Color Shine. I just wanted it to have a bit of color. Not too much. I like the idea of the subtle color pop against the white cardstock. The softness of the layout color choices actually contrasts the silliness of the photos. Which for me was perfect. From Paper 14 I fussy cut the flowers to cluster around the title. I'm all about cutting out these blooms of late. A little fussy cut obsessed these days. I think I'll blame that on the talent always found here on this blog. The butterflies were paper punched from Paper 01. 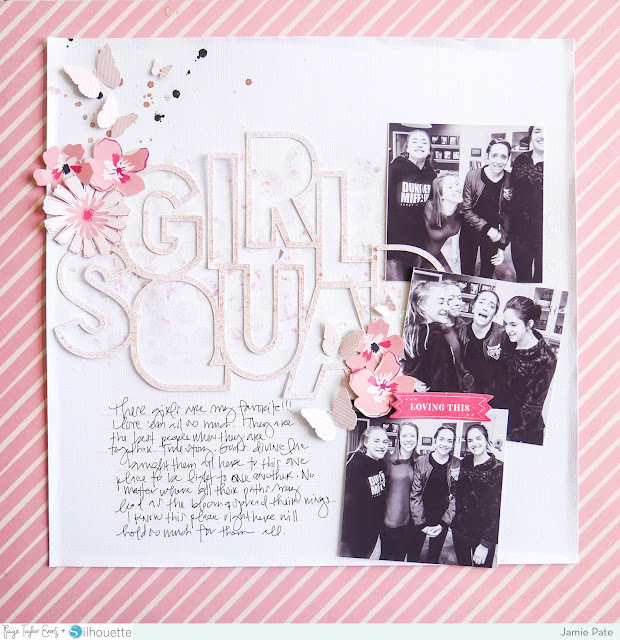 All the pink played nicely together to create interest and depth to this page. Another cluster of flowers and butterflies along with Ephemera Die Cuts were added to the opposite side of the cut file. This created a visual aspect to the page. 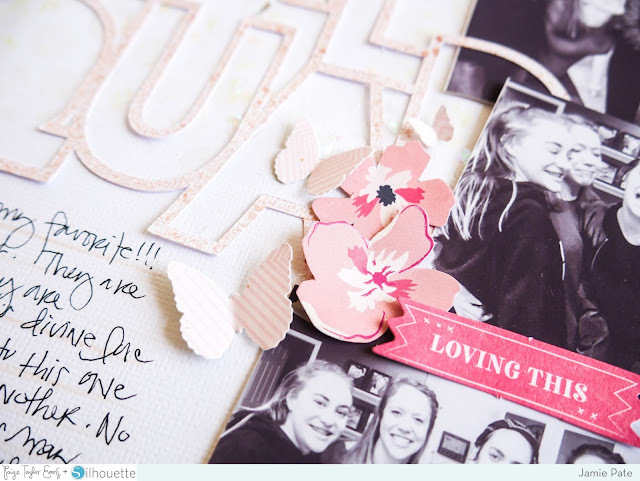 The eye moves from the upper left hand cluster of paper embellishments down through the photos to the other cluster. This was a good use of patterned paper and it created a certain level of movement on this page layout. Under the title is a layer of iridescent texture paste applied over a stencil. 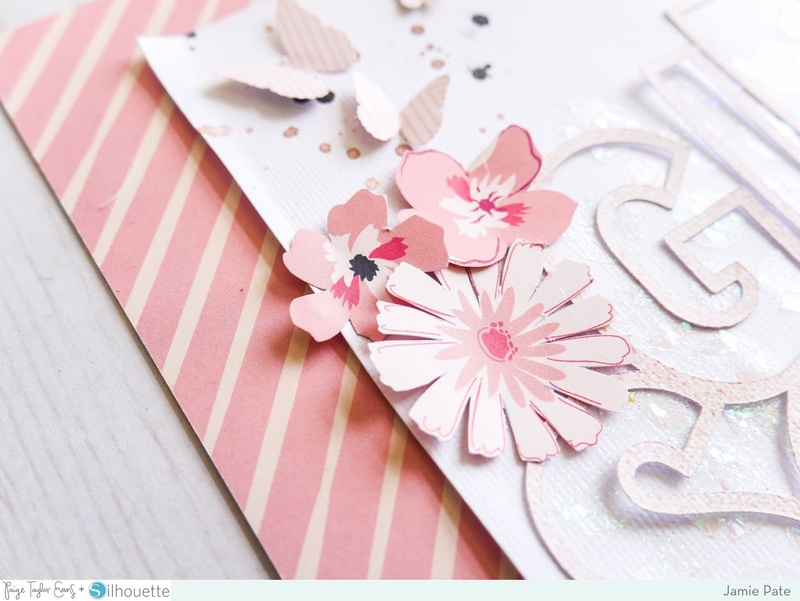 I adore how this sparkle of pattern, light, and glitter shines under the cut file. It made the whole story of this page simply come together perfectly. This is FABULOUS! LOVING the fun photos and the title work!!! !